Ajmer City Is The Second Largest District Of Rajasthan. 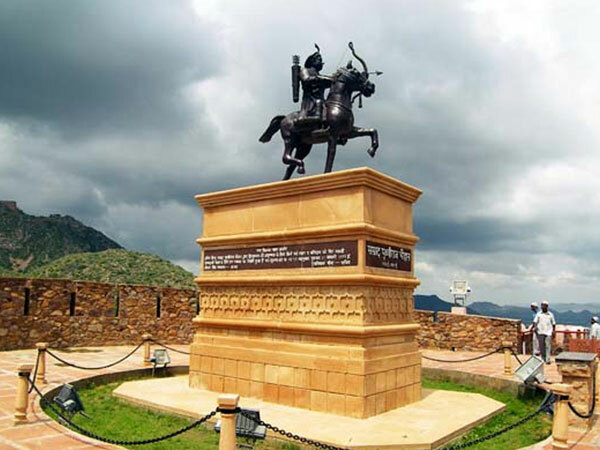 Once Ajaymeru Was Ruled By Prithvi Raj Chauhan Of Chauhan Empire. The City has a Lot To Offer in Terms Of Buisness and Tourism. Ajmer Is Popular For Many reasons. It Is The Headquarter Of Western Railways. In Addition It Has Many Other Important State Government Office and Education Board. The City Is Also Popular As It Has Rajasthan Public Service Commision Office. However It Also Has Lot To Offer in terms Of Tourism. The Popular Ajmer Sharif Dargah , Jain Temple, and Ana Sagar Lake. Not Far From Ajmer Is Pushkar Town. The Only Brahma Temple In India and Pushkar Lake Makes The Town Must Visit Destination. Ajmer Local Taxi Service Can Be a Good Option For Making a Full day Or Half Day Sightseen. Ajmer City Is Popular For Western Railway and Other government Offie's. Hene There are Lot Of Government Employee Living in City. However The City Is Mix Of All Communities. People From All Communities Living With Harmony and Peace. There are Many Place's To Visit. You Can Choose Ajmer Local Taxi Service For Your Visit to Most Of The Place's In Less Time. However Dargah Sharif Is Most Important. The Mosque is Visited By Both The Community and Every Year There is a Urs fair in Ajmer. A Part From This There is Akbar Fort Musuem , Ana Sagar Lake For Boating and Local Markets Worth Visit. Onwars You Can Turn To Pushkar. Worldwide Popular For Brahma Temple and Pushkar Camel fair The Town Is Visited By Millions Every Year. It Is Also a Part Of Thar desert Range and Has Nice Sand Dunes For Sun Set and Camel Safari. Pushkar Is Popular As Temple City. There are Savitri temple , Old Rangji Temple, New Rangji Temple and Gurudwara As Popular One. There are More Then 500 Temple In The Town. Sun Set and Local Markets are Also Famous.